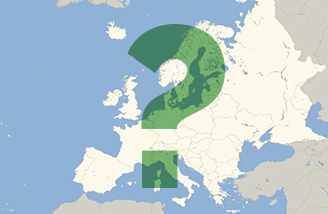 Posted in News1 Comment on Planning a Clinical Trial in Europe: Which Country to Choose? Europe may seem small considering only about 10% of the world’s population lives there, but it’s the second largest region by the number of studies conducted according to clinicaltrials.gov. There are 44 different countries in Europe, and each has unique advantages when it comes to running dermatology clinical trials. Depending on the trial complexity and specifics, a mixture of countries may be beneficial as well. Irrespective of the particular reason for planning a study in Europe, it’s always a good idea to explore this region and take advantage of it. Speed is always crucial and may be the main reason to consider the European region. The first aspect to look at is the population that a country has, as well as the number of suitable, experienced sites that can be activated. In order to further determine the recruitment potential, also consider the availability and cost of standard care for patients and health care providers, the incidence/prevalence of the indication, as well as any climate-related disease aspects. The cultural attitude toward a disease can play quite an important role, too. Also, the socio-economic environment may play into whether a country has a large or a limited recruitment potential, as depending on the wealth of a country and its inhabitants, the perceived need for a certain treatment may be higher or lower. Recruitment potential in indications such as atopic dermatitis or psoriasis is typically favorable in Eastern Europe.While topical corticosteroids are readily available, the related out-of-pocket costs for patients can be perceived as a burden and may lead to interest in study participation. The speed of recruitment is not only relevant for the duration of a clinical study, but is also a major driver for total study costs. 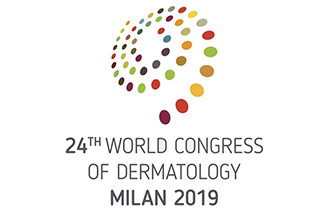 In particular in the area of dermatology, where studies are typically rather short, it may not only be faster, but it may even be more cost effective to activate a higher number of sites to lower the overall study costs by a shortening the duration. When it comes to the cost of a study, the expenses of labor and site fees are typical highest in countries in Western and Northern Europe, such as the UK (still), Ireland, Sweden, Denmark and the Netherlands. Southern European costs for labor tend to be a bit lower, and the further east a study is conducted, the lower the costs of labor will typically be. Study costs in Eastern Europe can be up to 40% lower compared with Western European or US costs. The current European Union clinical directive EU 2001/20/EC regulates the fundamental requirements for conducting clinical trials in Europe, however requirements may be stricter within an individual country, and beneath the regulatory aspects there are other important drivers when choosing a good study country. The regulatory pathway for starting a study is important to consider, in particular when the date of First Patient In is a relevant corporate milestone for a sponsor. In some European countries (e.g., Belgium) there are regulatory pathways that allow for a shorter study start, compared with the timelines that are set in the European directive. Next to study costs, start-up timelines and recruitment speed, some sponsors are interested in detailed exchange with regulatory bodies already in the early clinical development phase to ensure that a subsequent marketing authorization application addresses all relevant clinical development factors and leads to swift approval. In this case it is good to choose a country whose regulatory authority is well recognized among the other EU authorities and with EMA. Finally, an absolutely critical factor for study success is the motivation of a site and Principal Investigator (PI) to participate in and actively contribute to a clinical trial. There are countries in Europe where sites and PIs are more eager to participate in a study compared to other countries, and it is wise to choose a region where PIs and sites are generally very motivated to take part in research. Financial remuneration plays an important role as well. While the site fees should always be within reasonable boundaries, it is still true that clinical research is an industry and the level of site fees influences the site´s motivation for participation. Further, the novelty of the compound, its likelihood for being effective and safe, (i.e., the likelihood that it is able to make a real change for patients) is typically an important motivating factor. In summary, each study is unique and requires a special attitude and custom project plan, which corresponds with development goals and sponsor needs. Located in the very center of Europe, Symbio’s office in Germany has all the capabilities necessary to support any clinical development program in the European region. Our team members have significant experience in clinical research and have conducted clinical trials in the vast majority of European countries from Scandinavia to Southern Europe, and from Ireland to Russia in the last twenty years. Depending on the drug type, phase and specifics of the project, Symbio’s experts will suggest the best geographical location for the study and support the project locally. Reach out to me directly to discuss your project and how Symbio Europe can be a valuable partner.